With Britain looking set for a no deal Brexit, many people are starting to stockpile food for Brexit. In this post I want to look at whether this is a real concern and whether we need to stockpile for Brexit. 5 day delays on food imports (causing food to rot in trucks in Europe and generating panic buying). Fuel shortages – car and energy. Sever impact of medical supplies including medicine. Increase in prices across the board (food, fuel, etc). How likely is all of this going to be? UK supermarkets work on a ‘just in time' basis, which means that stock is delivered daily and not stored in warehouses. Think about when heavy snow hits the UK and shops empty in a short space of time. It is feared that the same could happen after Brexit. The thing is, we don't know how this will all work out. We can speculate and experts have their theories, but we don't know. 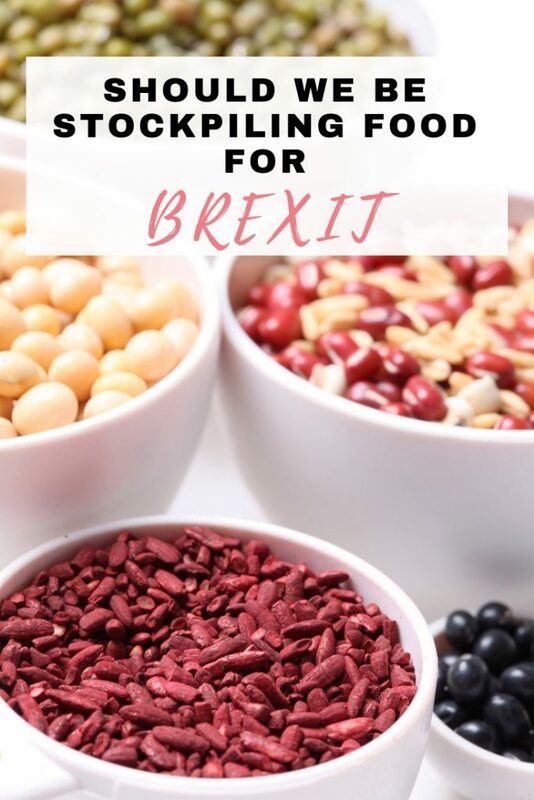 There are many reasons you might consider stockpiling for Brexit. It is often made light of because of people worrying they won't have their favourite jam or coffee. Stockpiling food isn't just about being worried that the supermarkets will be empty. It is also about avoiding the price hikes after Brexit. As we've seen for Laura and her family of 4, they are paying 20% more for food now and that is likely to go up before it comes down again. 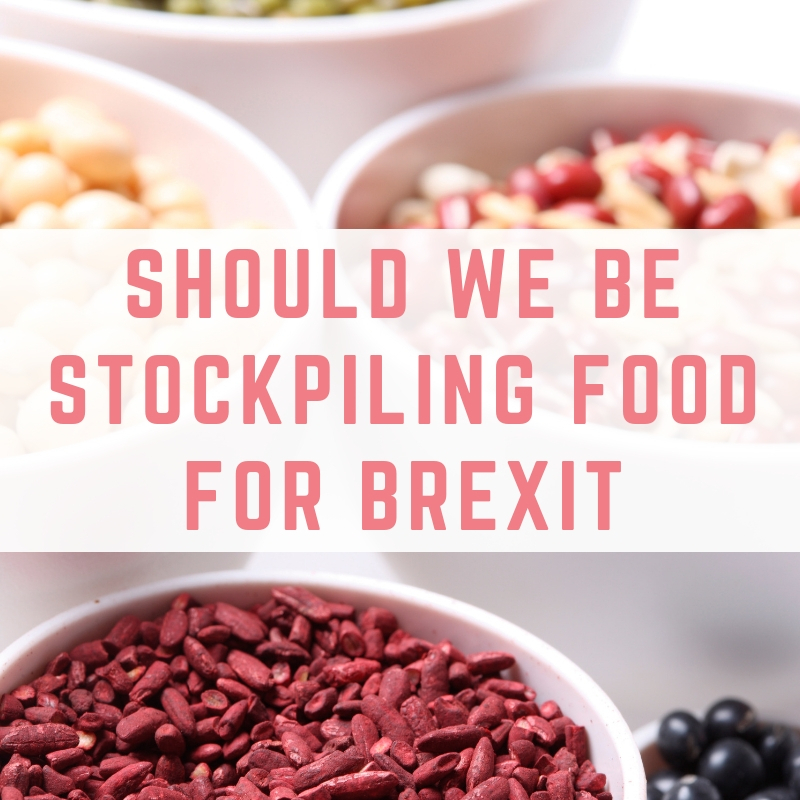 If you are worried about the cost of food after Brexit and you have a bit of extra money right now then you might want to consider building a stockpile. Won't stockpiling cause panic buying and empty shelves? People clearing the shelves on the 28th March WILL be panic buying and creating empty shelves. However no one I have spoken to or read about is going this sort of stockpiling. The people who are stockpiling food for Brexit are putting aside their favourite non-perishable items just in case, or throwing a few extra bits into their weekly shop. 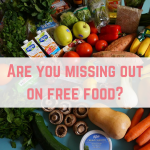 Are financial bloggers stockpiling food? I asked some financial bloggers is they are going to be stockpiling food for Brexit, and received a varied response. Charlotte from LottyEarns isn't stockpiling, saying: I am not. 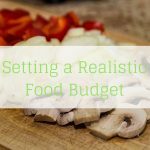 I have thought about it for a while and I don't think you should overspend now, potentially hurting your budget if you are panicking there won't be food. There will be food. 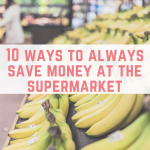 If you're concern is more that there are certain things you like to eat and don't want to risk paying more (red wine/olive oil etc), then I don't think there is any harm buying a few more bottles than you usually would. There's no need to go out buying 50 tins of beans. Joseph from Thrifty Chap says: When Harrogate had the Tour De France a few years back when I lived there, the supermarkets were ransacked. I've got a photo on my twitter of a completely empty bread aisle. Absolutely bonkers. Since then we've always had stuff in, even though we've moved. Tins are usually purchased on offer and we even have bottle water in the back of the cupboard as United utilities had water issues a couple of years ago. So maybe a few extra tins and essentials in ahead of Brexit Day. 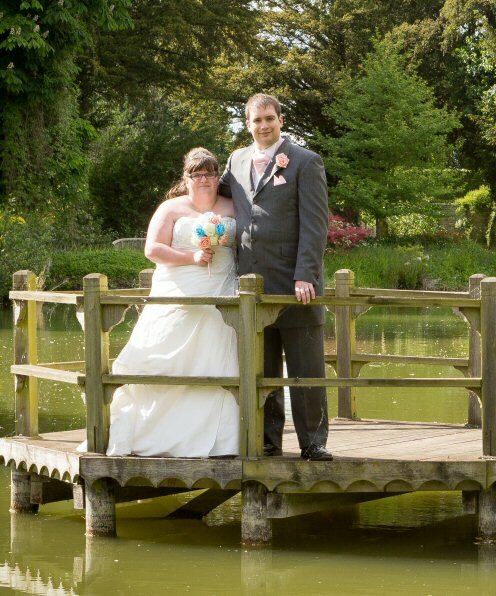 Nicola from The Frugal Cottage said: We are! Kind of. I've got a stockpile anyway but I'm adding more tinned goods than normal. Just in case things go wrong. And if nothing changes, then we'll just have some extra tins! Or from Savvy Londoner, whose cat is above, says: We're stockpiling food… for our cat. He's allergic to both chicken and fish, so we have to order canned food from Germany and the Netherlands. Therefore, we're already stockpiling cans. 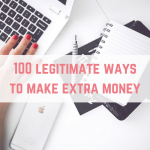 Laura from Thrifty Londoner says: In all honestly I don’t think it will make a huge difference. And what happens if you stockpile food and then it runs out? You’ll have to buy more food anyway! I’m originally from the Channel Islands which are not part of the EU and food prices are similar to the UK. Katy from KatyKicker says: I’m not stockpiling for Brexit – as long as there are merchants on Just Eat I hope to be fine! We always have a good 2-3 weeks worth of food at any one time and I’m sure I could stretch it further if need be! Faith from Much More With Less says: I am seriously considering a bulk order of tins and long life food just in case things turn hairy. Was shocking how soon supermarket shelves emptied during last year's snow storms. Brexit could potentially create much worse disruption for longer. Michelle from Time and Pence says: Not at all. I rarely let the media control my thinking. I don’t think things will turn bad but if they do I always believe you can work things out. Karyn from Miss Thrifty says: When life gives you Brexit, make Brexitade! As tempting as it is to stockpile new tins and jars, I'm viewing this as the perfect opportunity to use up all those dried grains and pulses I've already been stockpiling for goodness knows how long. Chickpeas, red kidney beans, split peas and multigrain quinoa: I'm coming for you. 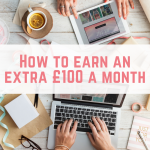 Emma from Mums Savvy Savings says: No I won’t be and it’s scaremongering that causes people to panic buy and then it actually causes shortages. When petrol was not getting through because of strikes the queues went cray with people like my retired grandads filling up their cars they drive once a week. The workforce then couldn’t get petrol as everywhere sold out. I’ll just be doing what I usually do. Becky from Simple Parenting says: I remember all the fuss over the millennium and the bug and how it came to nothing. I reckon we'll be alright you know somehow or other – I never really worry about these things – not sure if that is wise or not but it is me! Jane from Shoestring Cottage says: I always have a lot of the basics in as I don’t enjoy shopping. I won’t be stockpiling food. As others have said, it encourages panic buying and creates a problem where there isn’t one. I can live without Brie if I have to…I might get ahead on a few medications just in case though. What to stockpile if you are going to start stockpiling food for Brexit? If you want to start stockpiling food for Brexit then you won't get any judgement from me! I don't think it hurts to buy in a few extra tins and toiletries in the lead up to Brexit if your budget allows it. 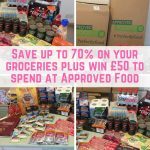 Tinned goods – fruit, soup, tomatoes, baked beans, vegetables and meat. Long life drinks including milk and fruit juices. Baking ingredients like flour, sugar, yeast and baking powder. You might want to also take Maria's advice on board and stockpile toiletries and loo roll. Am I stockpiling food for Brexit? I know you will all be wondering if I am stockpiling food for Brexit, and if we are being technical about it, yes I am. I am actually building a stockpile anyway, from when we have seen great offers or been able to use vouchers or get supermarket freebies. I am not stockpiling as a result of Brexit, but I see no harm in having a stash of some tinned tomatoes and loo roll!